Year after year, Grand Valley State University puts out performance metrics that rank amongst the top three in public universities in the state of Michigan. Year after year, however, GVSU does not receive near as much funding as other institutions do. Last week, Gov. Rick Snyder released his proposed budget for the fiscal year 2018. In it was an across-the-board increase for higher education by 2.5 percent. Each school, however, received individual percent increases; GVSU was recommended for a 3.4 percent increase in state funding, the highest increase among all the universities. Do third parties stand a chance? The 2016 presidential election sparked fresh debate about the role and potential of third parties in the United States’ political system. Is it worthwhile to vote for a third-party candidate, or would that be throwing away a vote? Is there any chance for a third party to receive enough support to break the long-standing two-party system? To answer these and other questions, the Grand Valley State University Community Service Learning Center (CSLC) hosted its first Democracy 101 event, “Elections & Two-Party Systems: Why Third Parties Have It Rough,” Wednesday, Feb. 15, in the Kirkhof Center. It was no accident that Roy Wilson, president of Wayne State University, picked out a Laker Blue tie the morning of Friday, Feb. 10. Gathered in the Grand Valley State University Detroit Center for the Board of Trustees meeting, leaders from GVSU and Wayne State's School of Medicine signed documentation Friday to put the "Early Assurance" partnership program into action. Across the United States, anti-abortion demonstrators congregated Saturday, Feb. 11, to demand the federal defunding of Planned Parenthood, and pro-abortion rights advocates responded in kind with their own counter-protests to express their support for the organization. All throughout the month of February, Grand Valley State University’s Community Service Learning Center (CSLC) has hosted numerous events related to the funding of higher education within the state of Michigan. To continue this conversation about college tuition and aid, the CSLC scheduled a “Democratic Dialogue” event Thursday, Feb. 9, in the Glenn A. Niemeyer Learning and Living Center. Student activism has existed as a voice for the voiceless for years at Grand Valley State University. In keeping with this long-standing tradition, the GVSU Kutsche Office of Local History (KOLH) will hold an event where people can learn about the past and present works of activism by undergraduate and graduate students since the university’s beginning. 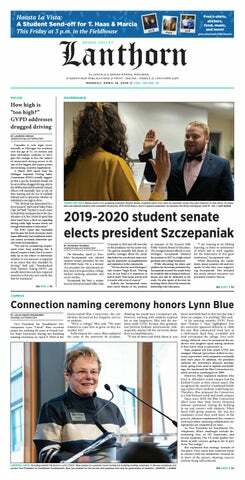 Conflict: every student organization experiences it, including the highest body of student government at Grand Valley State University - the student senate. During their general assembly meeting Thursday, Feb. 2, members of the senate brought forward the issue of transparency within the body. New this year, seven Grand Valley State University students received scholarships to be student teachers in GVSU charter schools located in Detroit. The College of Education and the GVSU Charter Schools Office (CSO) have teamed up to form this scholarship after concerns were raised by GVSU charter schools in Detroit that there were not enough capable, passionate instructors who wanted to positively impact students’ lives. With protests against President Donald Trump occurring across the U.S. and worldwide after his controversial election, students, community members and U.S. residents in general have had a lot to say about Trump's recent executive orders. One of the issues gaining the most attention is Trump’s decision to put in place an order turning back refugees and other visitors from predominantly Muslim countries.